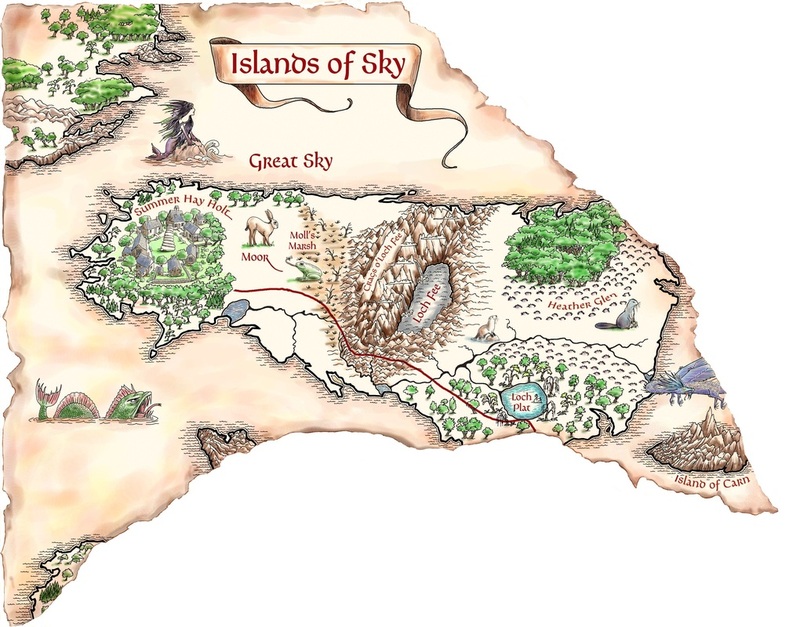 When the Great Cairn of Sky loses its cap stone, Clovie Trefoil sets off on a quest across the Lands of the Fae to find the elusive Heatherghillie. The hare crouched for a moment and bowed its head to the ground, then bounded away across the grass. Clovie came up to where it had paused and gazed at the spiky-looking plant before her. It was covered in a drift of purple bells. 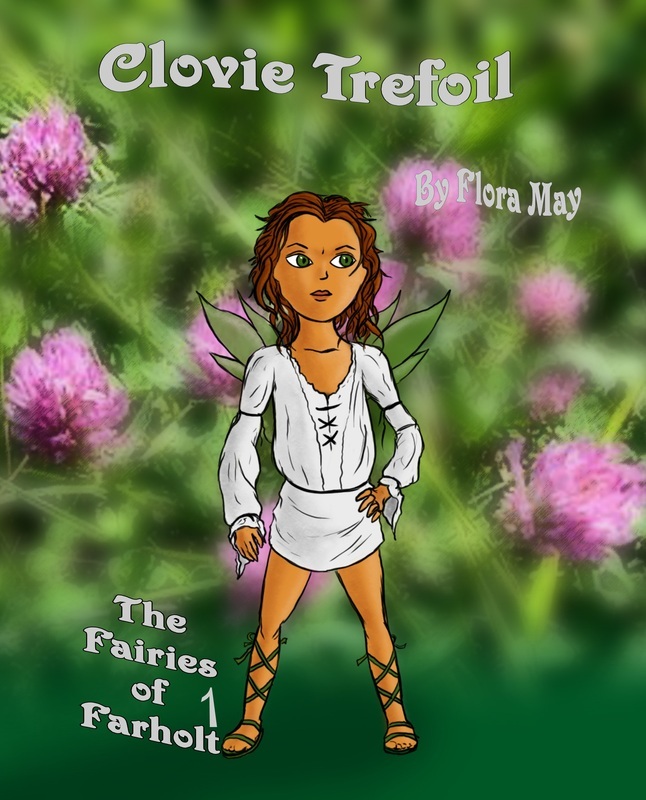 “Heather!” said Clovie, reaching up to touch the bells. A faint sprinkle of music sounded in her ears. This plant had magic stronger than any she had found before. “Aye, you will show me the way,” said Clovie. She broke off a stem of bells and tucked it under her arm. Clovie smiled as the heather wand shifted slightly to point to the path. Of course! The Heatherghillie would have the touch with heather just as she had it with clover. It would know him and bloom brighter where he trod. “Thank you!” she called to the hare, just in case it understood. She was no Faunafae, but the hare had been generous anyway. Sample of audiobook: Prologue and Chapter 1, read by Samantha Ong. 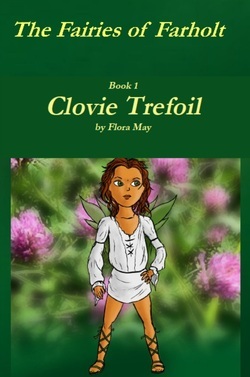 Clovie is the youngest member of Clan Trefoil. 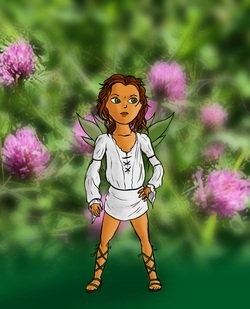 Being small and light, she is the best flier of the Florafae who live at Summer Hay Holt. She is also more sensitive to atmosphere. Her quest brings her into danger but also widens her horizons making her think again about many things she has always taken for granted. 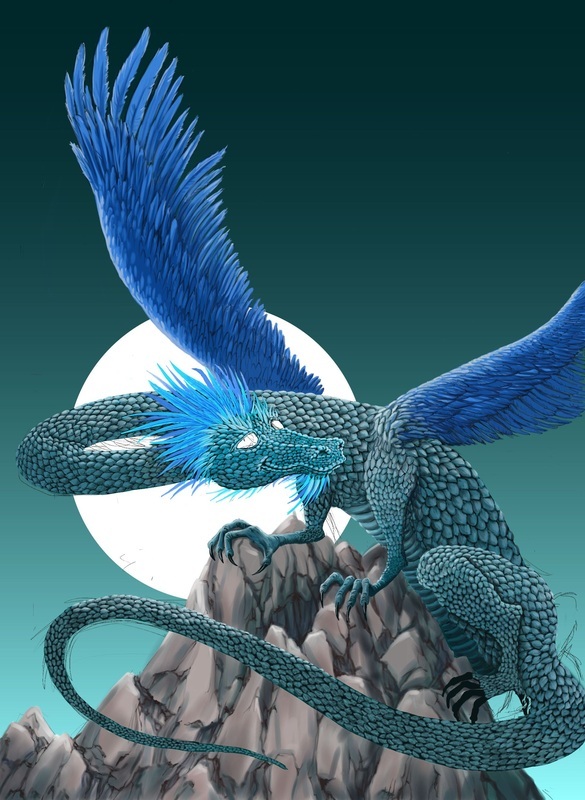 The Cromach of Sky is the Laird of the Florafae clans living in the Islands of Sky. The Cromach belongs to the Walnut Clan, and keeps order with a benign but steady hand. 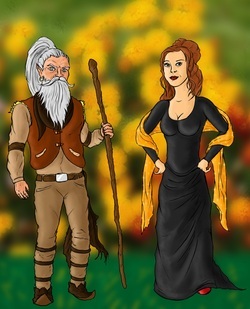 His lady, Mairi, is a marigold fae with a talent for weaving magical cloth. The Heatherghillie left Summer Hay Holt long ago. 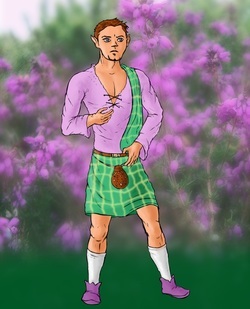 As a singular fae he does not belong to any clan and has no ties with the village. 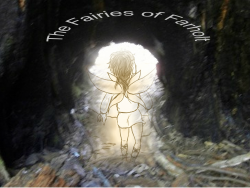 He is, however, the Keeper of the Way, which is the route to Farholt, the lost homeland of the fae. The Heatherghillie is a long-lived wanderer.